As Wednesday’s Apple event approaches, the analysts are all guessing what Apple may unveil. As usual, a lot of predictions are vague and confusing, such as suggesting USB-C support for iPhones, which could just mean USB-C cables, and not the demise of the lightning port. 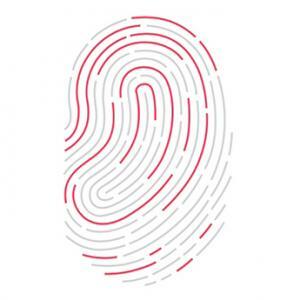 But one interesting suggestion that could be true is that new MacBooks could include Touch ID. The fingerprint-recognition button is easily the most useful part of the TouchBar on MacBook Pros, and could easily be included as a stand-alone button. This would also make it easier to use ApplePay on MacBooks. As much as I love Apple products, they have huge product fragmentation. You have Touch ID and headphone jacks on the iPads and MacBooks, USB-C on the MacBooks, while NO Touch ID, headphone jacks or USB-C on the iPhones. They need to standardize ALL product lines with the same Face ID/Touch ID, USB-C and either headphone jacks or no headphone jacks. Karl: Well, they are definitely heading toward that, but it takes time to transition. I can see all devices without headphone jacks soon, and perhaps USB-C too. Though that’s not a big deal since cables all have two ends so what difference does it make if it is a Lightning->USB-C or USB-C->USB-C? It is just a cable, right? As for Touch ID and Face ID, they are heading to Face ID for all iOS devices, and maybe on Macs too. It just takes time.